Kumho has enjoyed a successful working relationship with UK tyre distributor R H Claydon for some 20 years and has now appointed the company to handle its truck tyre distribution requirements for the UK. A third-generation family business, R H Claydon boasts full national coverage via six strategically-placed warehouses and will carry the entire range of Kumho’s medium and heavy truck tyre products. 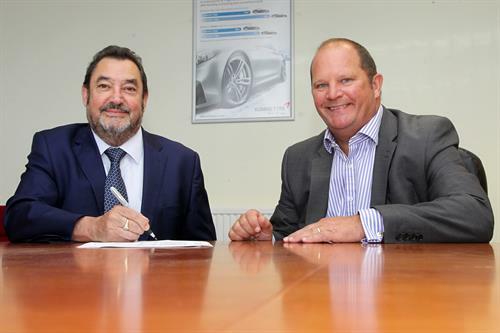 The switch from Kumho’s current direct distribution programme will be seamless from the customers’ point of view who, from day one, will have access to R H Claydon personnel five and a half days per week and a robust online ordering arrangement twenty-four-seven. Through its established B2B System, orders placed up to 07:00 qualify for same day delivery during the working week.